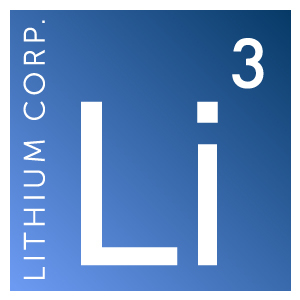 Elko, NV – August 16, 2016 – Lithium Corporation [OTCQB – LTUM] “the Company” is pleased to announce that it has recently received the results from American Lithium’s initial sampling program at Fish Lake Valley, where American Lithium Corp. is earning an 80% interest by making staged cash & stock payments, and incurring $1.1 million worth of exploration expenditures over the next three years. Also the Company recently formed Lithium Royalty Corp., a wholly owned subsidiary that it intends to use as a vehicle to create a portfolio of lithium and other battery related metals royalties. To that end Lithium Royalty staked and optioned off the North Big Smokey property to 1069934 Nevada Ltd., and its parent company 1069934 BC Ltd. Under the terms of the deal, 1069934 has purchased a 100% working interest in the property, for $10,000 cash, 300,000 shares, and reimbursement of all fees and expenses incurred while acquiring title to the property. Lithium Corporation had previously conducted early stage exploration on the property comprised of both sediment & brine sampling, and a gravity geophysical survey. Lithium Royalty Corp. retains a 2.5% Net Smelter Royalty on the property, one half (1.25%) of which can be purchased by 1069934 for $1,000,000.